C'mon 67 people have looked and no one has any idea? I haven't used any adjustable control arms myself, but all you should need is a set of adjustable UPPER control arms. You should then be able to get back to normal alignment specs. Something like this should fine for what you're trying to do. 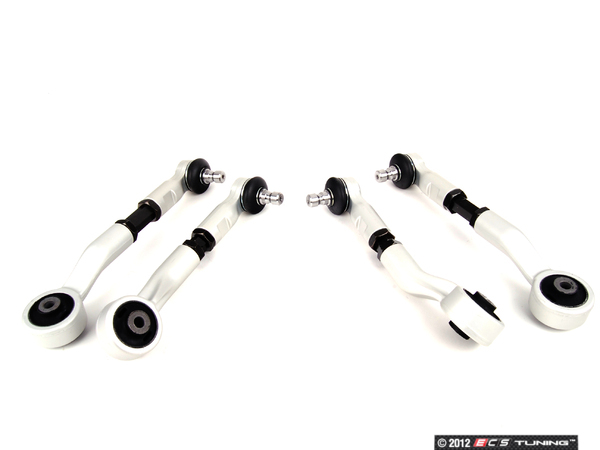 We have upper adjustable control arms available below! how low and how much camber? camber kit for b5 a4?